TJS Pulsed Xenon flash lamps and Krypton arc lamps are the light engine of choice for high performance flash and arc lamp applications such as medical and industrial laser pumping, digital and studio photography, warning beacons and strobes, stroboscopic and effect lighting. Xenon and Krypton flash lamps are confined arc flash lamps which produce microsecond to millisecond duration pulses of broadband light of high radiant intensities. Capable of operating at high repetition rates, these flash lamps generate light over a continuous spectrum from ultraviolet to infrared. For high power and UV applications we offer a range of different quartz envelope materials. 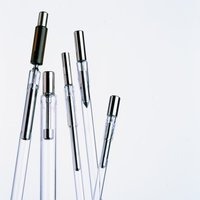 For applications with less stringent requirements, hard glass or borosilicate is the preferred solution for achieving optimal price competitiveness and a maximum grade of manufacturing automation. TJS also offers the largest assortment of different lamp shapes meeting the needs of diverse products. We offer many lamp forms, including linear lamps, U-shape, circular, helical and double helix forms. Complete plug-in solutions, lamps, sockets and integrated trigger coils are also available and can be customized to meet any customer need. Exceptional arc stability and life characteristics will make the different series of TJS Guided Arc Xenon lamps the ideal source of microsecond duration pulses of broadband light of high radiant intensities. 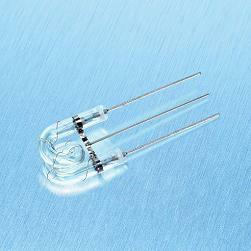 Capable of operating at high repetition rates, these small flash lamps generate light over a continuous spectrum from ultraviolet to infrared for absorption analysis, immunoassay systems, fluorescent photometers, spectroradiometry, liquid chromatography, gas chromatography, colorimetry and ultraviolet applications. TJS takes pride in providing Xenon and solid state based lighting products and solutions that help to create a brighter, healthier and safer environment.